One of the Best Blue Hydrangeas! 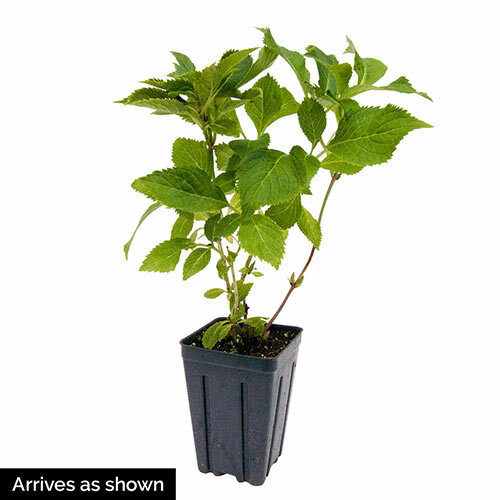 Foliage TypeMedium green ovate leaves 6-9" long. Soil RequirementsWell drained humus rich soil. Growth RateModerate to fast. Slower in the North regions. PruningLittle pruning needed. If pruning, do so immediately after flowering. Remove any winter damaged wood. Trim to shape. Winter CarePlant in a sheltered area in Northern zones and mulch well to reduce the loss of flower buds. Additional InformationThe soil pH will affect the color of the flowers (more blue in highly acidic soils and lilac to pink in slight acidic to alkaline soils). Adding lime to the soil will make the flowers appear more pink. Planting InstructionsMulch 3" year round to maintain soil moisture. Side dress 5-10-5 fertilizer in spring. Shredded peat, compost, or bark is best.